What Should You Consider – A Roof Repair Or Replacement? Despite the fact that you are ready for a complete roof replacement, you should clearly check whether your home’s roof indeed requires a complete replacement or not. Sometimes a simple roof repair can work wonders. It may also ease replacement hassles, avail you some free time to enjoy with your family. The situation is, how are you going to find a sincere answer about your current roof state? Well, you must talk to a good and reliable roofing contractor because only a right expert can help you give an honest advice based on his knowledge and experience. You may need a patch up or a serious fix, you must contact a roofing professional with a genuine license. Keep in mind that you are a bit at stake when choosing a reliable professional for your roof repair. So, never make your decision in haste or else, you would end up wasting a huge amount of money. It might feel like an unrelated question but holds a high significance. Discussing weather conditions like harm heat, snow, storms etc. 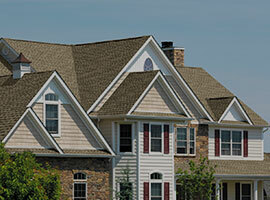 with your contractor can help you clarify the current state of your roof. Your indoor ceilings speaks a lot about your roof conditions. Flaking may indicate that this is the time for a replacement. However, don’t quickly jump to conclusions rather discuss it with a good contractor. He, in turn, after a thorough examination of the conditions will let you know that a replacement is required or only repair will do the magic. A little Maintenance is always required for every roof which may vary from gutter cleaning to shingle repairs. However, if the repair is consuming more than $2000 a year, then, it would be better to consider a complete roofing replacement which eventually brings down the repair expenses. Roofing shingles which have been installed for more than 20 years definitely needs a replacement, if less than 15 years can get fixed by repairing only. However, missing roof or torn shingles will surely need a replacement. Also consider the conditions of your gutter system and check closely for rotting. If roof deck is damaged, then certainly it will cost you more for roof replacement. However, you will automatically get a new gutter system with your new roof. Bear in mind that changing a roof too quickly or lately would only add a financial burden on you. So, it is all about timing. Don’t take any chance, consult with a reliable roofing contractor. If you want to seek expert advice for your roofing replacement or repair, Priority Roofing welcomes you. 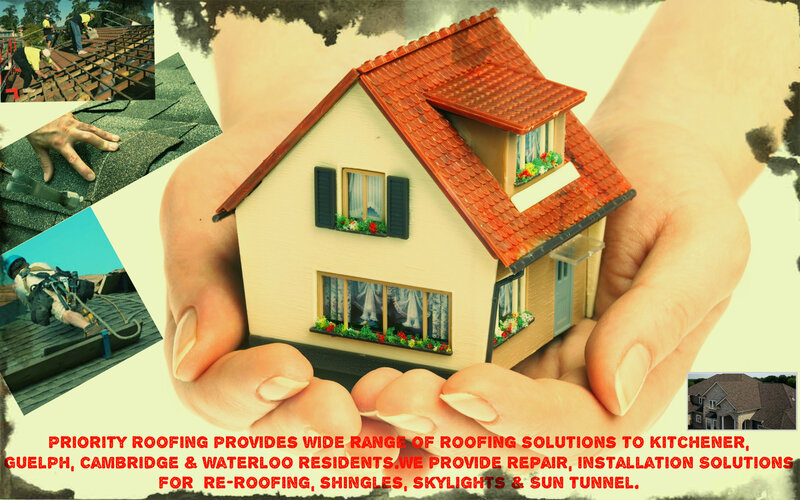 We are your one stop solution to all of your issues for roofing in Kitchener. Our technicians are certified, insured and technically sound to provide you honest roofing solutions at your doorstep.